Asia’s top genre film event is set to return for its 18th edition on July 17th. The Puchon International Fantastic Film Festival (PiFan), positioning itself at the crossroads of fantasy and reality, will present another eclectic program featuring 210 films from 47 countries. With 43 world premieres, enticing sidebar programs and a variety of other events, PiFan is the top destination for films fans in Korea during the sweltering summer season. Meanwhile, film professionals are eagerly looking forward to the Network of Asian Fantastic Films (NAFF), the industry and market event that runs alongside PiFan and will feature a special focus on Thailand for its 7th edition. 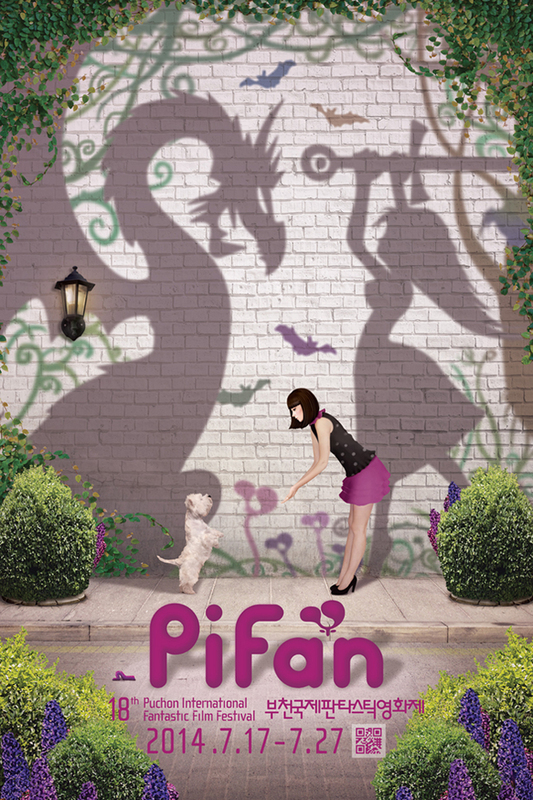 Long known as a purveyor of top genre cinema, spanning mystery, horror, thriller and sci-fi fare, PiFan is looking to shine the spotlight on hybrid genre films in 2014, showcasing works that blend styles and break rules. In addition, the festival will focus on emerging genre cinema from Latin America, Southeast Asia and the Chinese Diaspora. Bookending the broad lineup will be the German opening film Stereo, from director Maximilian Erlenwein and festival closer My Ordinary Love Story, the new film from local director LEE Kwon (Attack on the Pin-up Boys, 2007). Puchon Choice, PiFan’s competition program, will feature 12 titles, including the world premiere of James LEONG sci-fi Camera, a Singapore-Hong-Kong-China co-production that began life as a project in NAFF. The competition will also feature popular festival titles such as Fruit CHAN’s The Midnight After, Nacho Vigalondo’s Open Windows and Tommy Wirkola’s Dead Snow 2: Red vs. Dead. World Fantastic Cinema, PiFan’s broadest section, will feature 44 films this year, including eight from Korea. Those include previously screened commercial films such as AM 11:00, Broken, and Hwayi: A Monster Boy, as well as upcoming titles such as Mourning Grave, the Korea-Japan co-production A Record of Sweet Murder and Tunnel 3D. Other notable films include the Spanish horror Asmodexia, IGUCHI Noboru’s Live from Japan, the Indian hit Chennai Express, the horror-musical Stage Fright from Canada and Dante LAM’s HK thriller That Demon Within. Another 28 titles populate the Vision Express section, including three Korean films screening for the first time and HAN Yun-sun’s 18 – Eighteen Noir and JUNG Woo-sung’s segment from the Hong Kong International Film Festival-commissioned omnibus Three Charmed Lives. Festival favorite Ben Wheatley, the idiosyncratic English filmmaker, returns with A Field in England while French auteur Quentin Dupieux is also back with his latest offering Wrong Cops. The Masters sidebar will feature the latest works of genre auteurs, including horror pioneer Tobe Hooper (Djinn), the prolific MIIKE Takashi (The Mole Song – Undercover Agent Reiji) and visionary Terry Gilliam (The Zero Theorem). In addition to the usual Ani Fanta, Forbidden Zone and Fantastic Short Films sections, this year’s PiFan will also present a quintet of special programs. The first, in honor of the character’s 60th anniversary, is ‘The Great Kaiju, Godzilla 60 Years,’ a seven-feature showcase of the popular Japanese monster features that will feature HONDA Ishiro’s 1954 original. ‘Blood Window to Latin America’ will seek to expose fresh genre talents from South America with six new films spanning the continent. The next sidebar is ‘Harmony for 10 Years: Korea National University of Arts and Beijing Film Academy,’ a small program that will feature six co-produced shorts from the Korean and Chinese universities. The fourth special program is ‘PiFan CLASSIC,’ which will screen four classic films, including Tobe Hooper’s The Texas Chainsaw Massacre (1974) and Poltergeist (1982), King HU’s Dragon Inn (1967) from Taiwan and the Korean film Popular Songs in the Past 50 Years from director KIM Gwang-su. The last program is a retrospective on filmmaker Tinto Brass called ‘Crossing the Boundary between Eroticism and Perversion,’ a seven-tile showcase that will include his infamous Caligula (1979). Taking place nearby in Bucheon’s Koryo Hotel will be the Network of Asian Fantastic Films, which will stage this year’s IT Project, Industry Program and Fantastic Film School. With its many facets, NAFF is a rich industry program with plenty to offer to film professionals of various sectors. Kicking off on July 20th, NAFF’s main focus is the IT Project, the world’s first genre film project market. Participants from the 27 projects from 14 countries (including six from the Thailand spotlight) will take part in one on one business matching meetings with potential investors and distributors from Korea and abroad. The projects will also be eligible for various cash and post-productions support awards, awarded by a three-member jury. Previous IT Project participants that have gone on to find success around the world include the HA Jung-woo The Terror, LIVE (which served as the closing film at PiFan last year) YEON Sang-ho’s The King of Pigs and Arvin CHEN’s Taiwanese romantic comedy Will You Still Love Me Tomorrow. Meanwhile, NAFF’s Fantastic School, a training program for young genre film professionals, will feature lecturers such as Hancock (2008) screenwriter Vincent NGO, Hawaii IFF Program Director Anderson LE and producers Tim KWOK and Mike Macari. The program will also feature a masterclass with director Wayne WANG. The 18th edition of PiFan will be the first to feature PYEON Jang-wan as Head Programmer, who joins existing programmers Alice YOO and Danny Sangho RHEE. Serving as PiFan lady this year will be Sunny (2011) and Miss Granny star SHIM Eun-kyoung. For 11 days, from July 17th to 27th, this year’s PiFan is set to delight genre cinema fans when it showcases the best in global genre cinema.